Applying veneer tape and removing it after pressing often consumes an inordinate amount of time during the veneering process. A veneer stitcher can reduce that time to a fraction. Most stitchers are stationary floor models that start at $3,000. The HFZ/4 zig-zag is a hand held model of the stationary type. 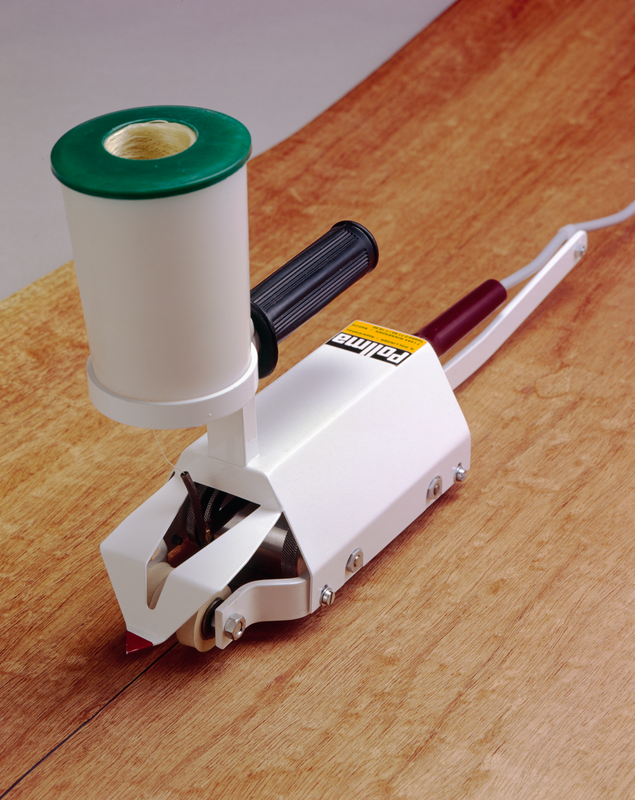 A fiberglass thread covered with hot melt glue passes through a heating tube, laid down in a zig-zag motion over the veneer seam and pressed down by a following roller. Two angled rollers up front draw the veneer together for a tight seam. On full thickness veneers (1/32″) the stitched side can be placed face into the glue. Either way this tool is a tremendous time saver for those that do enough veneering to step up from veneer tape but not enough to invest in a stationary model.